Mrs May said: "President Putin's regime is carrying out acts of aggression against our shared values and interests within our continent and beyond. "And as a sovereign European democracy, the United Kingdom will stand shoulder to shoulder with the EU and with Nato to face down these threats together." 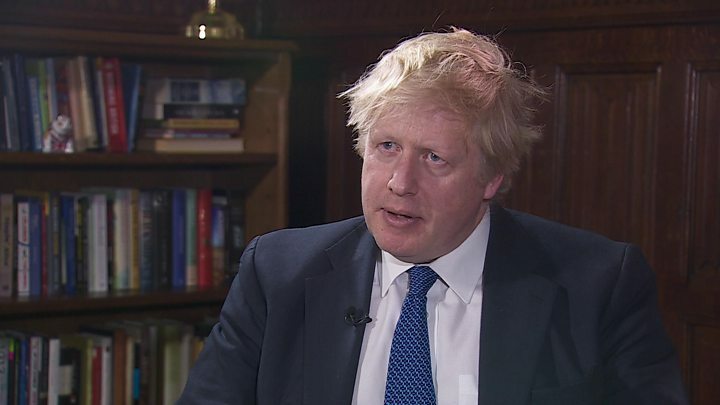 Foreign Secretary Boris Johnson also praised the "extraordinary international response" by the UK's allies. This is building into the most serious diplomatic crisis between Russia and the West since Moscow's seizure of Crimea. Whatever the denials, Britain's allies have clearly accepted its view that the use of a military grade nerve agent in Salisbury was "highly likely" the work of the Russian state. The collective expulsions from the US and EU member states is a remarkable show of solidarity with Britain, even more so because it comes at a time when UK-EU relations are strained due to the Brexit negotiations. Donald Tusk's note that there could be "additional measures" is a signal to Moscow as it considers how it will respond. It is a significant diplomatic victory for Prime Minister Theresa May - concerted action has now followed the strong rhetorical support from its allies. It also marks a significant toughening of the Trump administration's stance towards Moscow. Iceland has also announced it is suspending high-level dialogue with Russian authorities, and its leaders will not attend the World Cup, which starts in Russia in June. The UK said earlier this month it would not send ministers or members of the Royal Family to the football tournament. President of the European Council Donald Tusk said the EU states had decided to expel Russian diplomats as a direct result of a meeting, held last week about the Salisbury poisoning. 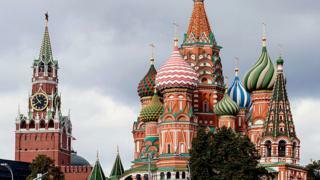 Has the Russian row given UK diplomacy new focus? In a phone call last week with Vladimir Putin, the US president failed to mention the attack in Salisbury. But he did congratulate Mr Putin on his re-election, against the advice of his officials. The deliberate change in tone also demonstrates real concern about Russian activity inside the US, as well as elsewhere. Alongside the allegations of election interference two years ago, the Kremlin is accused of spying and cyber-attacks targeting vital infrastructure in the US. Closing the Russian consulate in Seattle reflects those specific fears - a submarine base and the aerospace firm Boeing are both close to the city. Diplomatic retaliation is inevitable. Almost immediately, the Russian Embassy asked its followers to take part in a Twitter poll to recommend which US consulate it should close in response. In 1986, US President Ronald Reagan expelled 80 Cold War-era Russian diplomats. In 2016, the Obama administration expelled 35 Russian diplomats in response to the alleged hacking of the US Democratic Party and Hillary Clinton campaign during the 2016 presidential election, accusations Moscow denied. Senior US officials told the Associated Press that Russia had an estimated 100 intelligence officials at its diplomatic posts in the US, suggesting that dozens will still be left in the country. However, the diplomats working at the UN were described by the US State Department as "intelligence operatives", suggesting it is looking to hamper more than just administrational work.